Laws and regulations are very important in the society. They are a necessity in order to keep the public safe and contented. South Africa has various laws and regulations which govern various sectors and industries. Regulation is even more vital when the safety and lives of people are concerned, they help keep workers and consumers safe from hazardous situations. 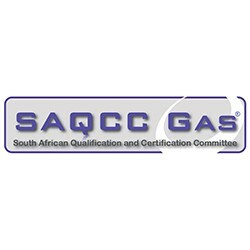 The Liquefied Petroleum Gas, Natural Gas, Refrigerant gases and Compressed Gases industries are some of the closely regulated industries in South Africa, this is due to the growing popularity of gas and gas systems that are used across various industries in commercial and domestic setups. Prior to the establishment of the Pressure Equipment Regulations (PER) in 2009, the gas industry was regulated by the Vessels under Pressure (VUP) Regulations. Between 1997 and June 2009, all legal gas installations were aligned to the VUP while all installations recorded after July 2009, are expected to comply with the PER. However, consider this; what happens when an installation completed, for instance, in 2001 is inspected in 2018? Old installations under new regulation-What now? It could be rather confusing determining if that installation is legal or not. It should, however, be noted that all installations completed in the reign of the VUP will always be inspected as per the VUP. If an installation was completed under the VUP and awarded a Certificate of Conformity (COC), it remains valid even today. The end-user is not obliged to amend their gas system to the current regulations. On the other hand, when a modification or addition is made to the VUP compliant installation, it has to comply with the PER and obtain a COC under the PER. It is vital to keep up with the latest regulations, as regulations change and improve, safety and efficiency improve too. Keeping up with regulations is as crucial as adhering to them. Gas Practitioners who have been practicing since the era of the VUP need to familiarise themselves with the PER and conform to it as the current governing regulations. In a similar sense, end-users who wish to modify their old gas installations need to take note of the current PER.